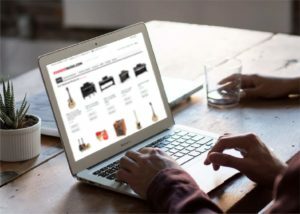 Does your business rely mostly on online shopping site? Are you sure it is secure? Nearly 6000 Magento sites worldwide were infected with a malicious skimming code already in September 2016, and were manipulated in such a way that customer data and payment information are passed on to online criminals during the ordering process. According to current findings, this infection has not been removed by many operators until today, or the servers have been compromised again (for example, while in September there were several hundreds effected sites in Germany, now there are more then a thousand) (more about it – here). The shop owners who use CMS Magento in outdated and acutely attackable versions may be affected: there are critical security gaps, through which the attackers can insert malware code into the shops. Our team gathered practical tips based on the years of experience to help you protect your Magento e-commerce wesite from online fraud and skimming. Put IP limiter to server login (block unauthorized IP and allow entry by IP only for trusted addresses). Sometimes file extensions substitution is used. Misha has also underlined the need to hide mistakes once again (sometimes this makes it possible to see the directory tree). not to use one password for everything. To change it periodically, such as once a month. Protection of your site is an important task that needs ongoing support, and needs much knowledge and experience. A wise decision could be to outsource technical maintenance to a specialized agency. WebMeridian team is willing to help you with that. Send an email to info@webmeridian.org and we will check your site for vulnerability issues and suggest all the improvements needed.